There's lots of different ways to work on fine motor skills, just as there are a variety of different fine motor skills themselves. 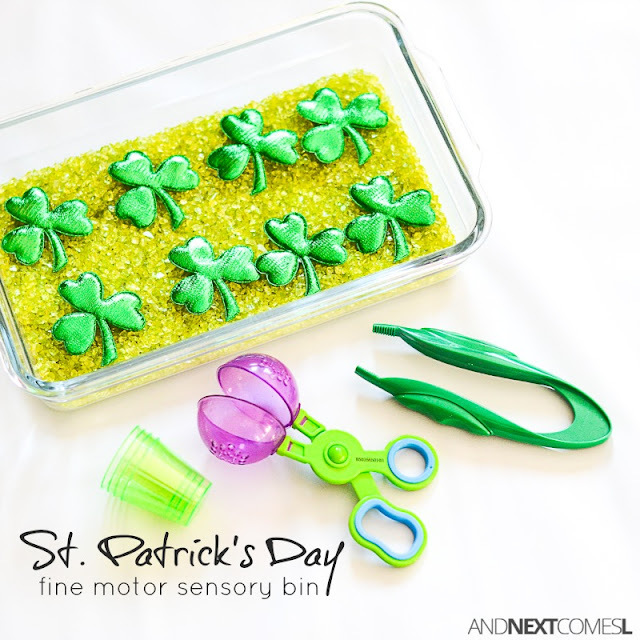 This particular St. Patrick's Day fine motor sensory bin for kids works on scooping, pouring, and tweezing. Kids can also work on pinching with this sensory bin. This sensory bin is certainly green and festive, but it's also ridiculously simple to put together for toddlers and preschoolers. It combines tactile sensory play with fine motor practice, but kids can also explore math concepts such as measurement, volume, and counting the shamrocks. Certainly lots of learning can happen with this simple sensory bin! 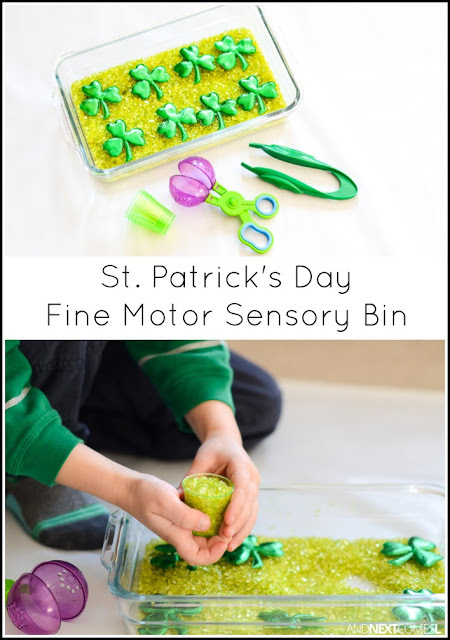 This simple St. Patrick's Day sensory bin can use any sensory bin filler that you'd like. I used something sparkly and glittery - even though glitter is my enemy - from the dollar store. Find out how to put it together by visiting the link below.